Initial Coin Offering has become one of those Blockchain development services that needs no introduction. What started with sea-full of doubts has now become one of the most preferred modes of raising funds in the present time. Even amidst the several stories of failure, ICOs have been able to show their worth in the market. 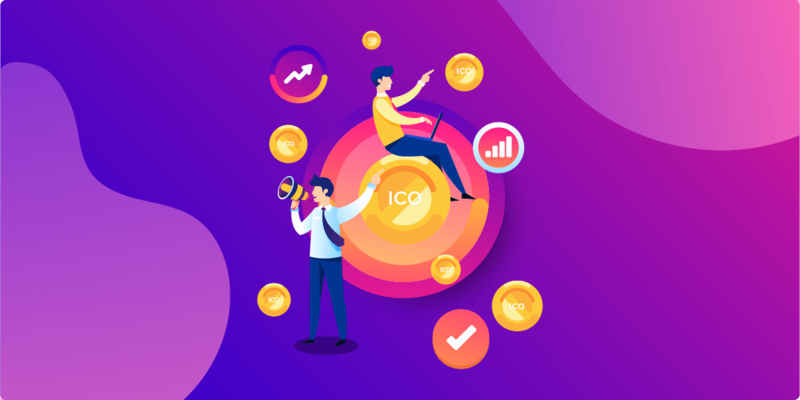 The amount of money that businesses have been able to generate from ICOs are on a constant rise and so are the success stories of Blockchain startups that have relied on the fund-raising medium after learning how to launch a successful ICO. Growth tangent that the ICO market is presently on has managed to swap the question – What is ICO with What is the Cost of Launching an ICO. Our intent today, is to get you answer on the same. But before we dive into the costing, let us first look at the success stories that are contributors of ICOs raising more than $160 Million in the first half of January itself. The success rate of ICOs as the Blockchain industry has seen time and again float in several zeros behind a two or three digit numbers. Let us look at some of the most successful ICOs launched till date. Even if we remove the names like Ethereum, NEO, Ark etc from the list of ICO success stories, the number of revenue that businesses are able to generate at the back of ICOs is still on a very big rise. The ICO market as a whole offers a lot to entice new entrepreneurs to choose it as the source of raising funds. And, it has not just birthed and fueled the ICO vs VC debate but has also given a reason to more and more entrepreneurs to go through this route to fulfill their decentralized dream. Now while it is always very aspirational to see the cost range that the ICO world promises to give you, it is equally important to look at the other important cost and get an answer to – What is the cost of launching an ICO. Let us give you a no-nonsense direct answer to the question, demarcated according to the different services that together define ICO process. We won’t be discussing how ICO works in this article for we believe that the famous Blockchain service has come far enough to leave no scope of doubt or not knowing in the world of billions of Blockchain enthusiasts. ICO Consultation often ignored in name of obviousness can be a deal breaker for a number of entrepreneurs. In fact, the service alone can be one of the biggest contributory factors behind the failure of the whole process. There are a number of things that you as an entrepreneur planning to launch an ICO has to keep into consideration. Things that only surface when you sit with a company that offers ICO consultancy services. There are a number of things that you get an idea of when you talk to them, which ultimately helps you not just approach ICO event with greater preparation and confidence but also enter the Blockchain industry as a whole with complete information about the sector. The minimum cost of ICO consultation service comes out to be a minimum of 8,000 USD. Having a well-designed whitepaper can be the ultimate deciding factor of your ICO’s success and one of the most primal answers to What Are the Essentials Required Before an ICO Launch? A whitepaper, when drafted with much detail, helps in making your investors understand what the project is about – what it would entail, how it would benefit them, and the general scope that it carries. The contents of your whitepaper are what would define how practical your idea is, the problems it would solve, and how the industry that you are planning to decentralize would actually benefit from Blockchain. Now, it is quite possible that you would have created a whitepaper yourself but what it is pretty easy to overlook some of the most important considerations that you should otherwise pay attention to – something that your team of partnered Whitepaper creation specialists can help you with. The cost of ICO pricing related to Whitepaper Drafting and Auditing usually comes out to be in the starting cost of 5,000 USD. The next part of the ICO launch process is to develop a Decentralized Blockchain solution. There are a number of subsets in the Blockchain development umbrella as well – Token Creation, ICO Smart Contracts, MVP, etc. While the Blockchain development part of the ICO starts with the creation of a token or cryptocurrency that is then given to the investors in return for their investment in the ICO, it is also a mandate that you create a MVP of the Blockchain solution that would give a clear idea of how the ecosystem would work. Also, at this stage, it is very important that you invest in Smart Contract development as well, as any sound blockchain development company would advise you. The contract would help in keeping the investors’ best interest met. Having it in place would give them the mental peace that they received tokens in return for the money (Fiat or cryptocurrency) that they put in your business. Now ensuring that the token, smart contract and the MVP are hack-proof, real-time and scalable would call for a team of experts who have a complete in-depth idea of how each of the Blockchain solutions. You will need experts’ help to ensure that the ecosystem you are getting made has no loophole for any hacker to enter. The cruciality of this stage makes Blockchain development part of ICO one of the most expensive services. The starting cost range for the development of different dSolutions would come out to be 10,000 USD. A website that you provide to launch and then promote your ICO from is another most important factor of the whole fundraising process. The website would not just contain the details of your idea, offering, and the whitepaper, it will also be the first platform that the investors will visit to know about your project. In fact, there are a number of entrepreneurs who conduct the whole fund collection and token distribution process from their website itself, making it all the more important to ensure that the website design is seamless and easy to flow along with making sure that the whole development is done in a way that the website is hack proof and is ready to hold the inflow of traffic in real-time when the ICO goes live. Designing and development of an efficient ICO website as this will come with a starting cost of around 10,000 USD. Although not a mandate but having a cryptocurrency wallet in place comes in very handy for your investors to save all their cryptocurrencies together. Doing this helps them with a convenient platform where they can easily get a look into how much cryptocurrencies they carry and afford to invest. This added feature that enhances your offering in the eyes of the investors can cost somewhere around the starting price of 8,000USD. 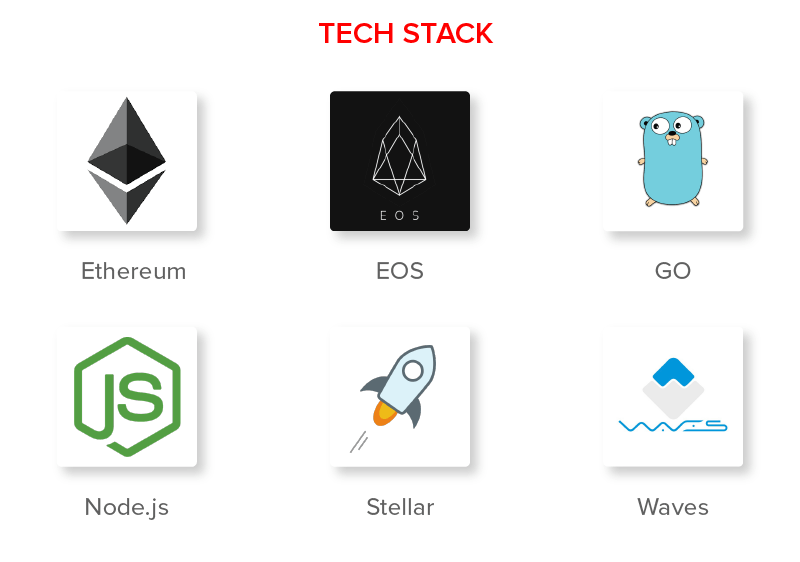 Now that we have looked at the technology stack that must be used for successful launch of an ICO, the next part is to look at the other important contributing factors. Next to knowing the technology stack that comes in handy in all the different processes that are involved between ICO Consultancy and ICO Website Design and Development is the ideal team size that would make it all possible with ease and within time. Let us start with the manpower requirement first. Usually, the team size required to handle an ICO is made of 8 to 12 working on – Business Analyst, Designing, Backend & Frontend Development, and QA. Next, although like the cost of launching an ICO element which takes up multiple factors to become definite, stating a time range is also difficult but usually it takes somewhere around four to 10 months to complete the preparation of the ICO and then another 1 month to launch and market your ICO, which then usually stays live in the market for investors to put their money in for somewhere around 2 months. The last section of the trio – How much does it cost to launch an ICO, while already answered above, process demarcation wise, contains 1 more important amount to be considered – How much does it cost to list an ICO token in the crypto exchange platforms? Now, because the industry is divided among small, medium, and large list of cryptocurrency exchanges, the ICO listing fees also automatically differs between them. It can by anything from tens of cryptocoins to millions of dollars to get listed and then maintain the position. With this, we have now several important things to get you started with the ICO world – The state of ICO market, some of the success stories floating around ICO, process wise answer to what is the cost of launching an ICO in market, and lastly the must help to know things like the time it takes to launch an ICO, team size that is required to get the ICO launched, and an idea into listing an ICO token in the crypto exchange platforms. 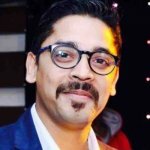 The last part that is left for you to know to not just launch a successful ICO but also emerge out as a leader then is knowing the challenges that you might face when it comes to launching an ICO successfully in the market and then creating a complete Blockchain ecosystem at the back of it. Let us look at some of those challenges that you might come across and the solution that our team of ICO experts and Blockchain App Developers have to offer on them. One of the biggest challenges associated with launching an ICO and getting big investors to put their money in the project calls for a detailed justification of how your proposed token would move in the economy, the actual issues your Blockchain solution would solve, etc. With so many ICOs hitting the market on an everyday basis, the attention span of the investors is lowering on an hour by hour basis. Grasping it, in turn, would require you to ensure that the future you have thought for your cryptocoin and the project in general is actually something that holds the potential to be of real value in the real world. Doing this is not easy. It would require you to do a lot of groundwork before you enter the market with a decentralized solution to their problem. The one thing growing alongside the growing entrants in the ICO market hoaxes and businesses entering the market with a glorious world changing idea that ultimately proves to be nothing more than a phishing medium to get a hold of million of dollars and flea. And the present state of fake ICOs running in the market being in millions and billion dollars valuations has made the investors all the more careful about who they entertain to even listen to or open the website of. Now, proving yourself to be genuine can be a frustrating tasks. But, our team of ICO developers have cracked it. Here is what we do to prove the genuinity of our clients’ ICO. Our team, after working on the design and launch over 25 successful ICOs understand what the red flags are and with the understanding we prepare our clients. We never say that the cryptocoin’s value will double in a matter of few days. We ensure that there is a team whose name and face goes on the ICO website and then we make sure that those members are actually knowledgeable Blockchain experts. We prepare the whitepaper and website in a way that all the information in both the places are complete and 100% in-depth. We never propose an open-source code also we make sure that the repositories like Sourceforge or GitHub are complete and have complete line of codes. The future of ICO market even if slightly fluctuating is so only because of the fact the causes of security breaches and hoaxes are on an all time high. The modern day hackers have become so smart that they require only a lot smarter development team to keep at bay. These are just a few ways how Appinventiv’s team of ICO experts ensure that your ICO round, process after process, is 100% secure and the possibility of it getting attacked is negative.